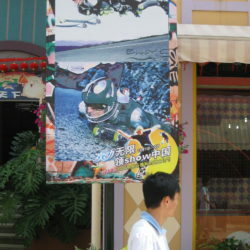 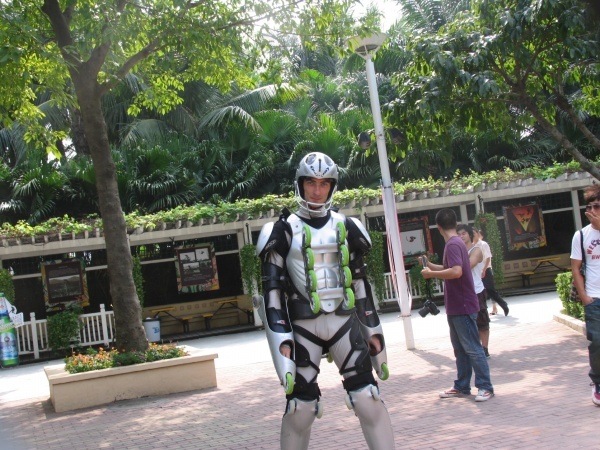 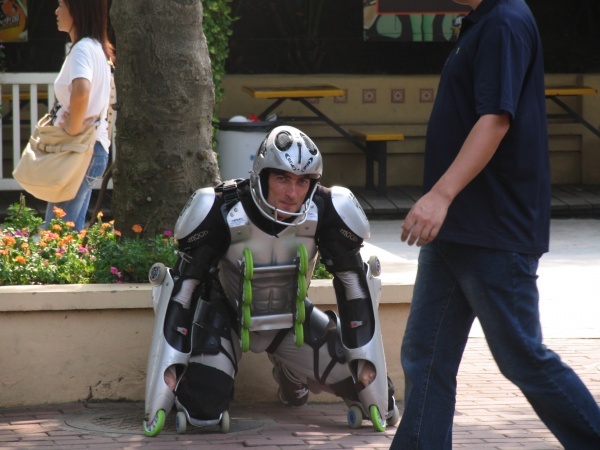 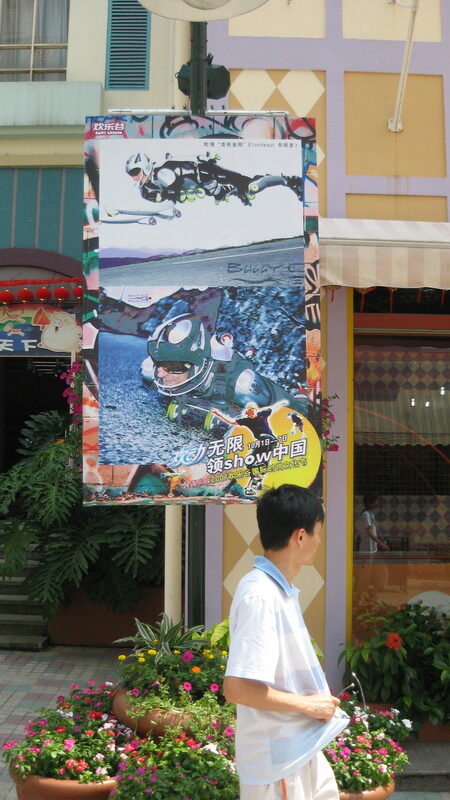 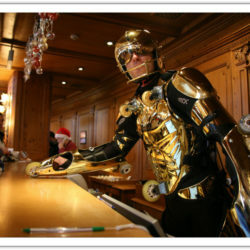 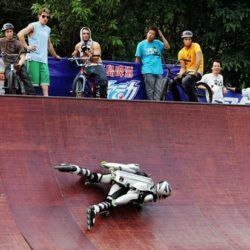 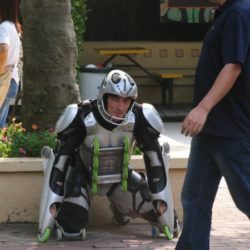 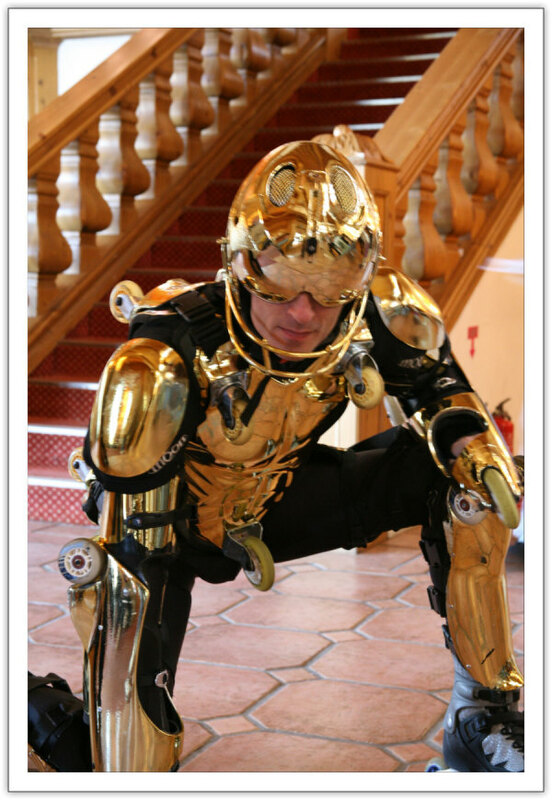 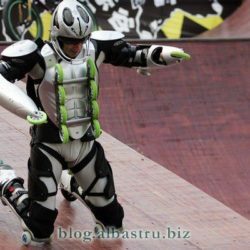 Happy Valleys are inviting Jean Yves Blondeau, The Rollerman to make Show in Shenzhen in order to celebrate extreme sports. 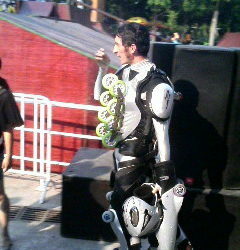 Even if he weather was very hot, the show was repeated several time a day. 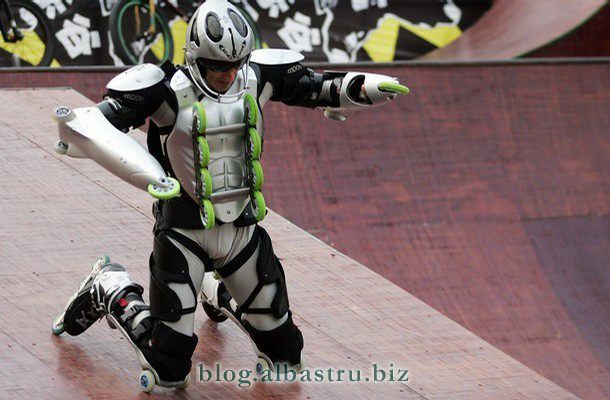 It took place on the skate park. 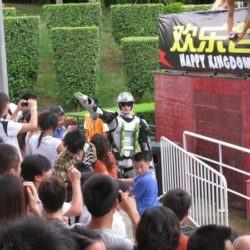 That place is out door . 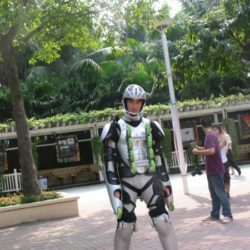 The sun was shining like a snake bite, and the atmosphere always very humid. 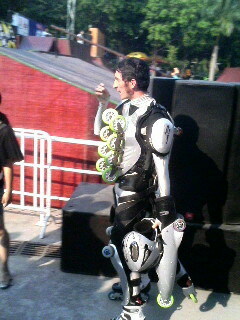 So it was very difficult to keep a strong effort in this heat. 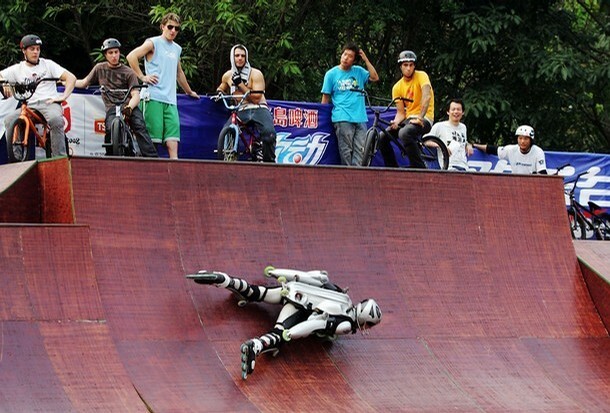 This happens in the skatepark twice a day. 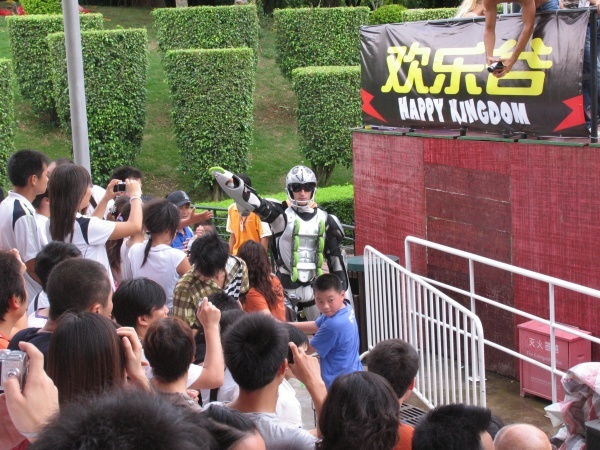 It was a problem to keep the underarm clothes dry. 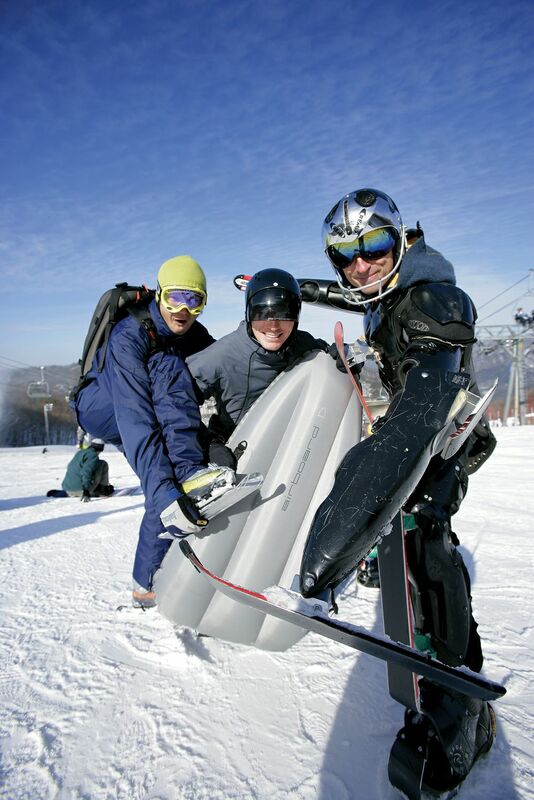 BUGGY SKI at MUJU Resort was a chance. 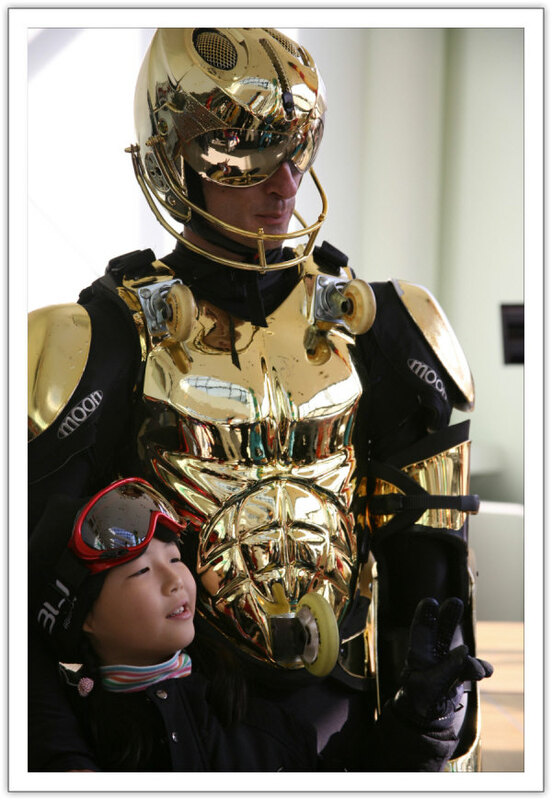 With Yvon Labarthe and sometimes with Ji Ha we made a lot of video and many press in MUJU Resort. 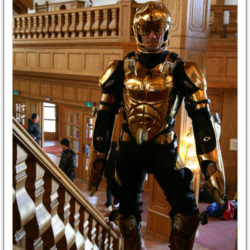 It was the opportunity to produce a lot of movie. 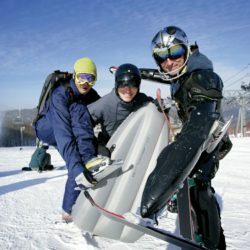 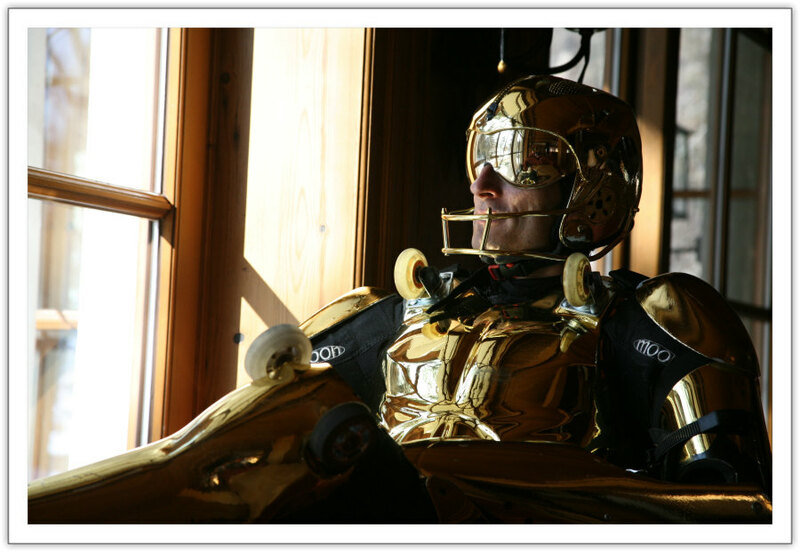 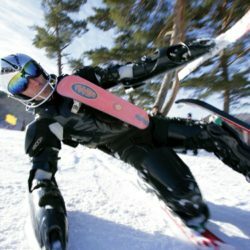 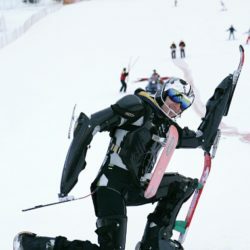 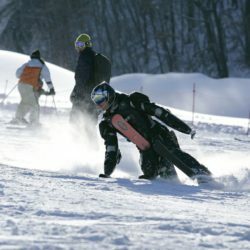 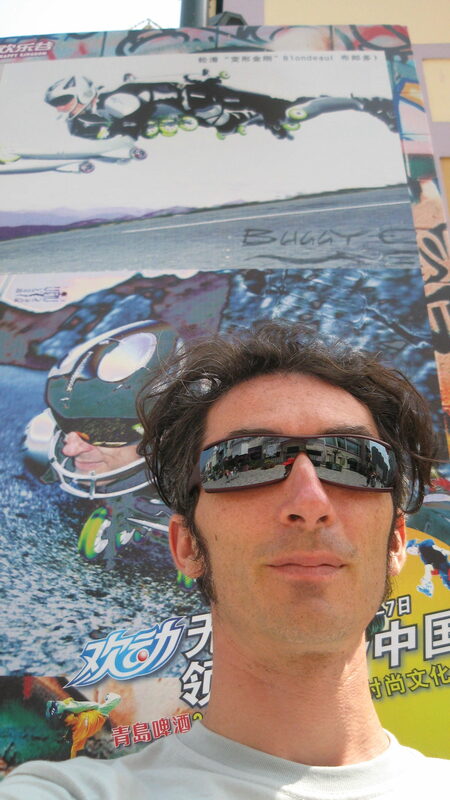 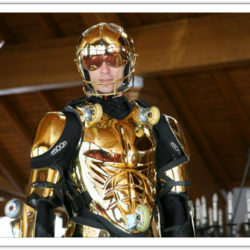 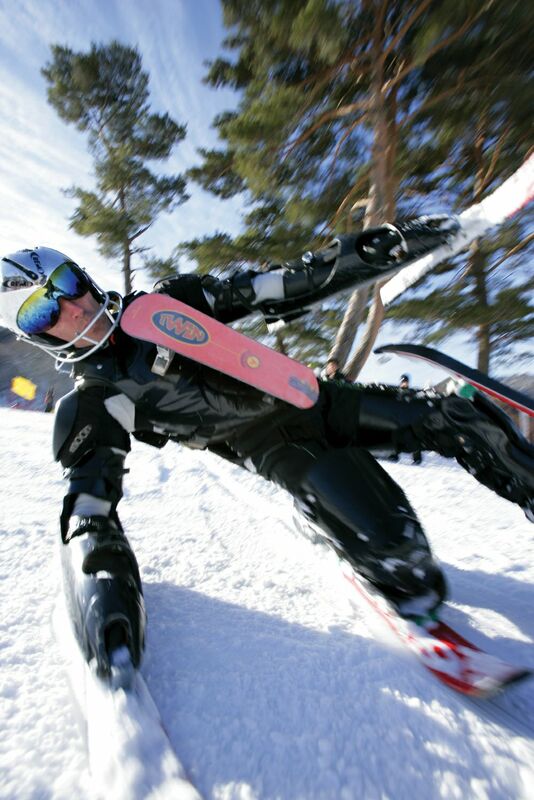 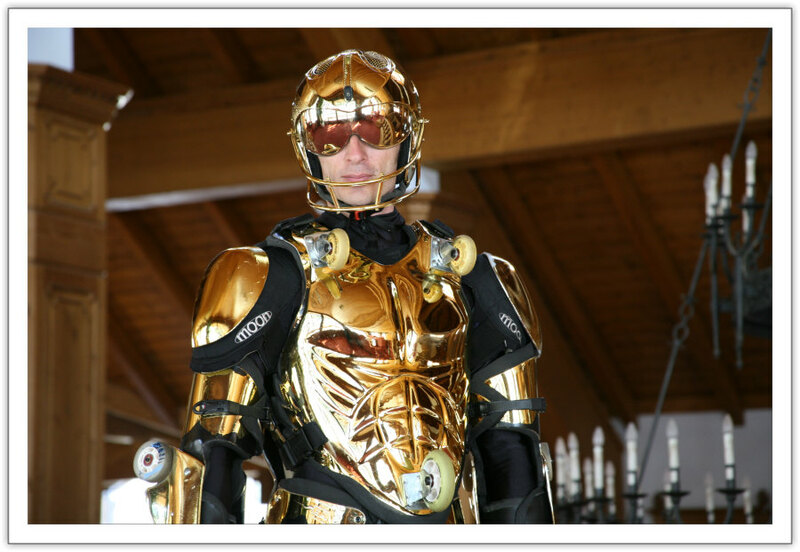 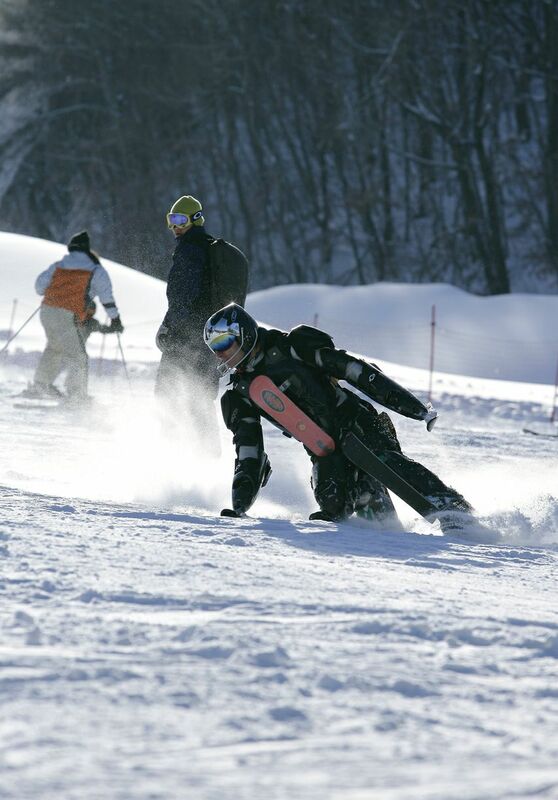 Thus, the BUGGY SKI at MUJU Resort gave the opportunity for Jean Yves Blondeau to finalise the BUGGY SKI suit Because Jean Yves was making show every day. 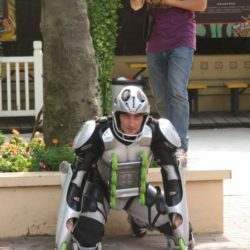 So each time something broke. 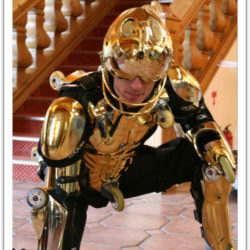 It had to be fixed and designed that the problem does not come anymore. 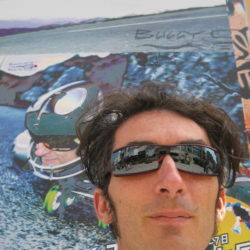 Because the head of Jean Yves was a ski pass, and thanks that he had the right to take any person with him on fast lanes, anyone could spend time with him. 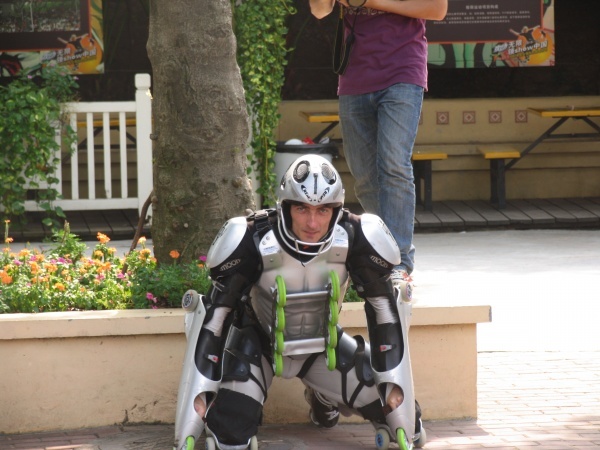 Many time he would care about beginner do together on easy tracks and take time to share moment together. 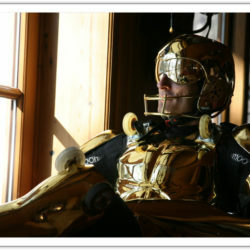 From Christmas 2006 until March 2007, Jean Yves was at Muju Resort. 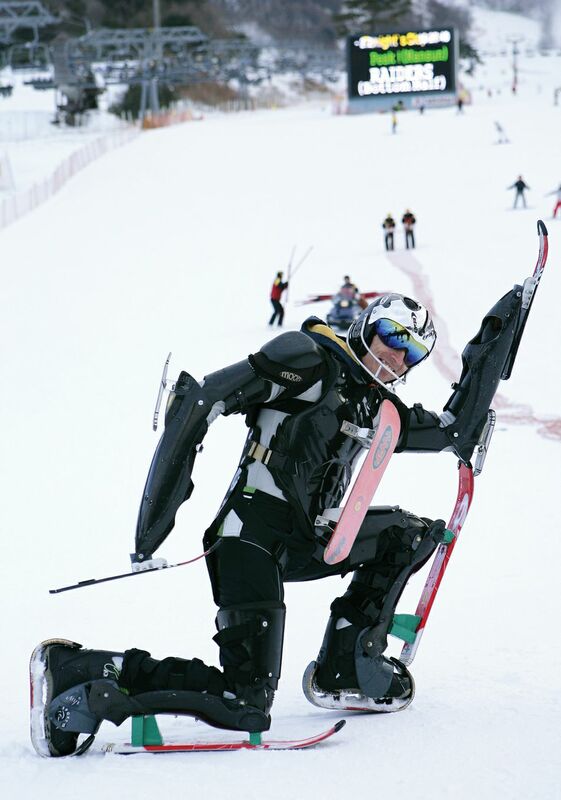 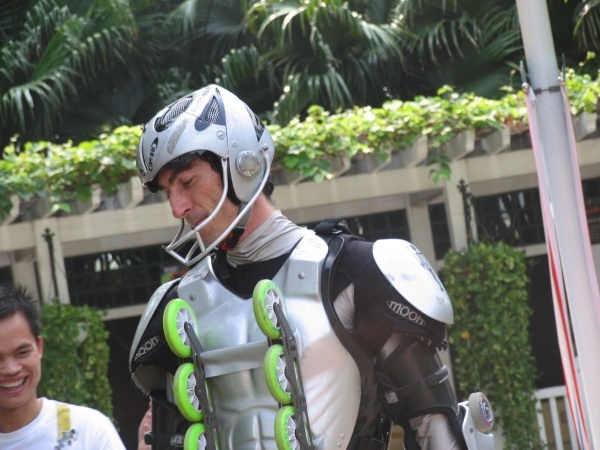 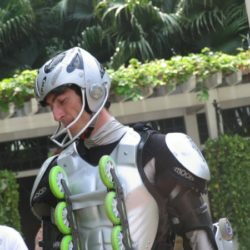 Every day he had to make BUGGY SKI armor shows from 19h. 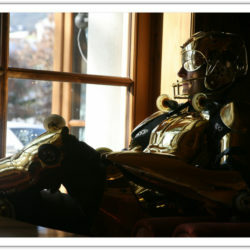 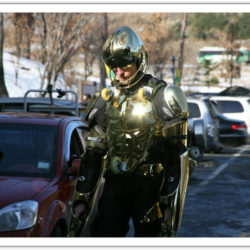 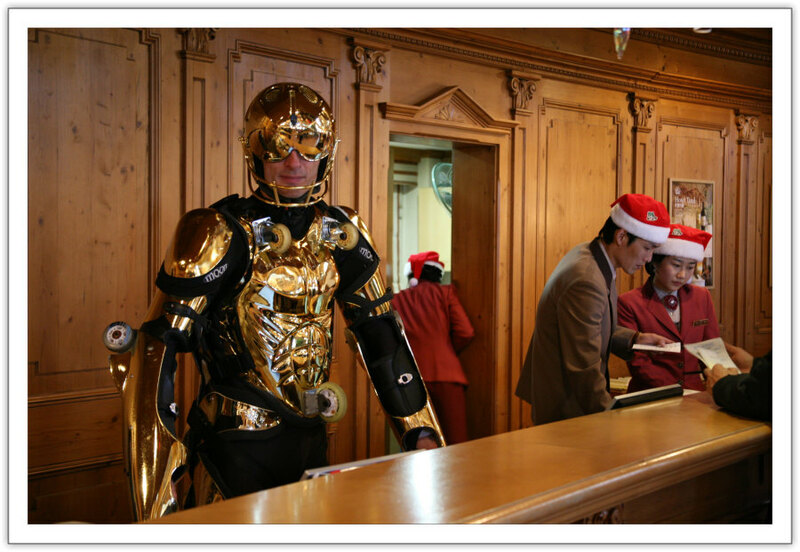 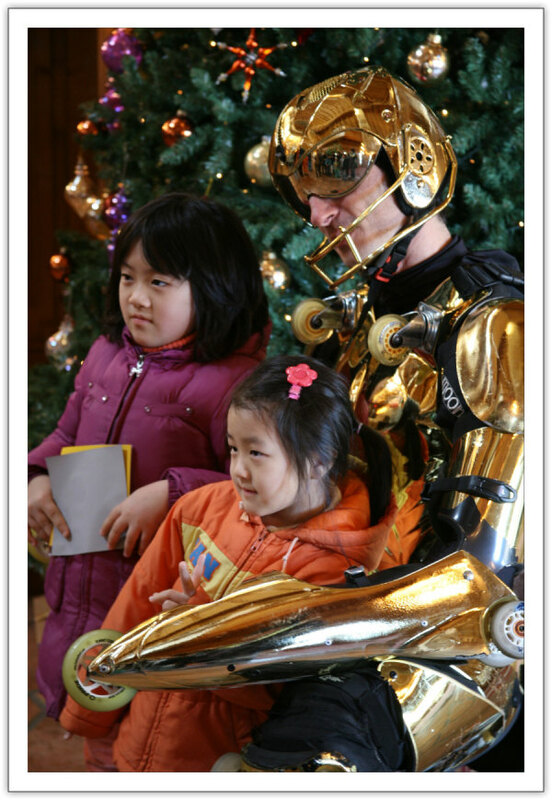 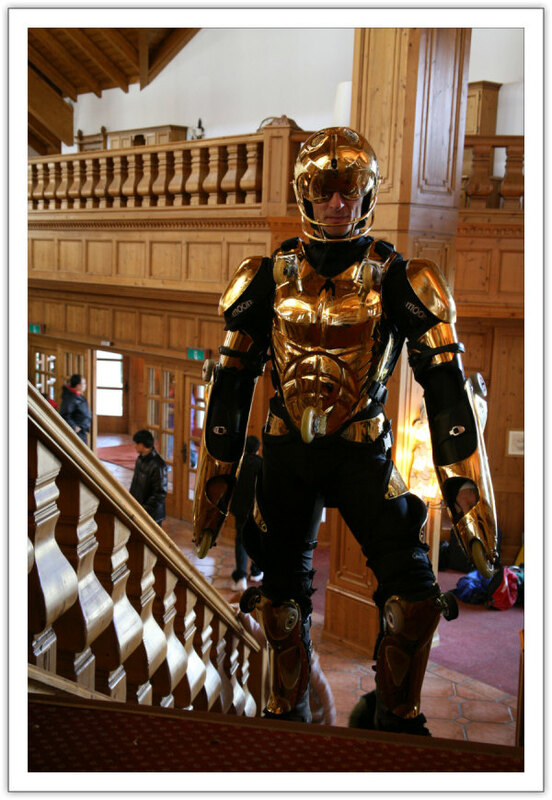 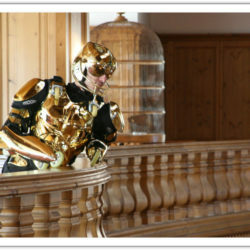 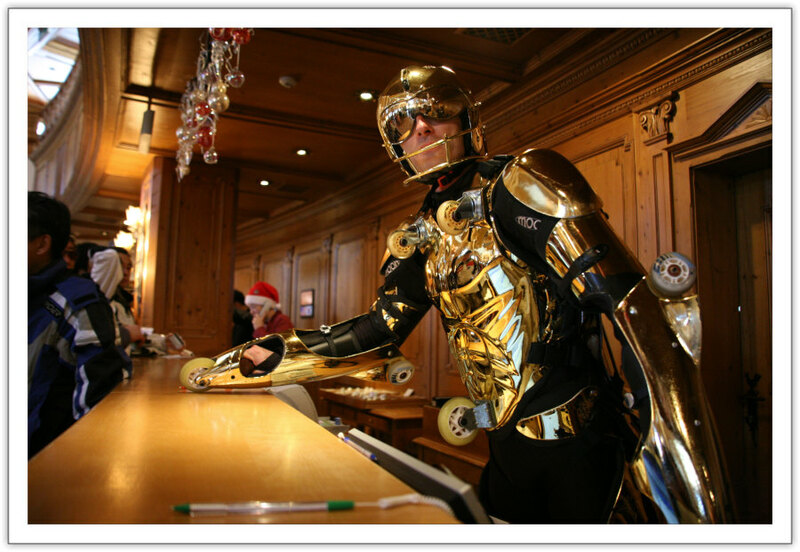 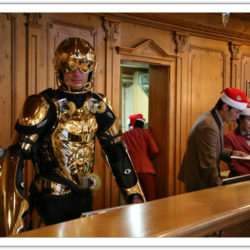 And every Saturday,Rollerman welcomes tourist at MUJU in golden armor. 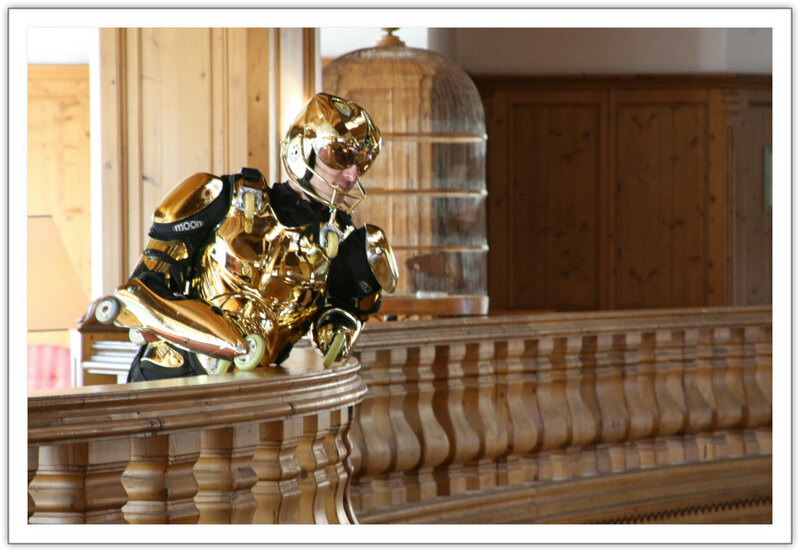 With golden suit in this golden light and warm colored wood environment, it creates a very coherent graphic image. 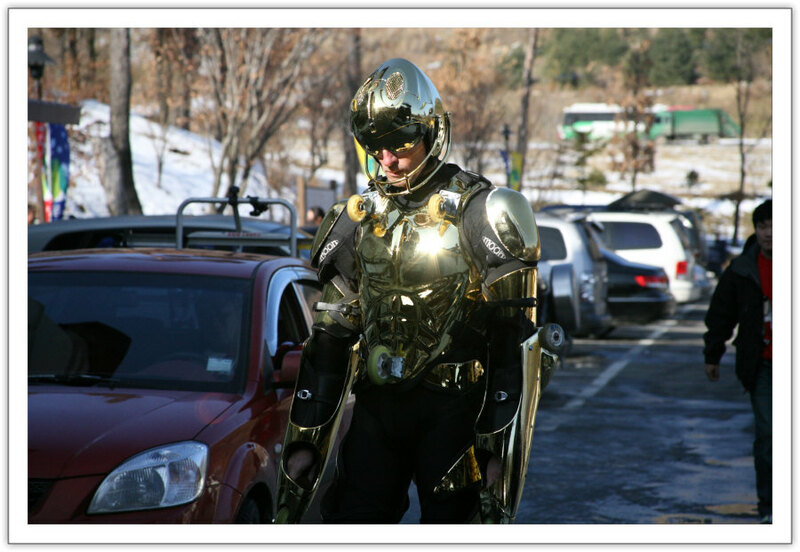 it is perfect for Rollerman to welcomes tourist at MUJU Resort.